Klaus Teege reports about his mission - bei Licht für Afrika e.V. In Daressalaam I was received by Br. Maximilian and Br. 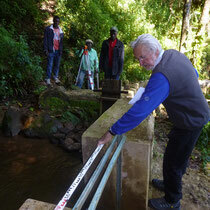 Kilian; followed by a direct Sambia-highway-ride to Njombe. 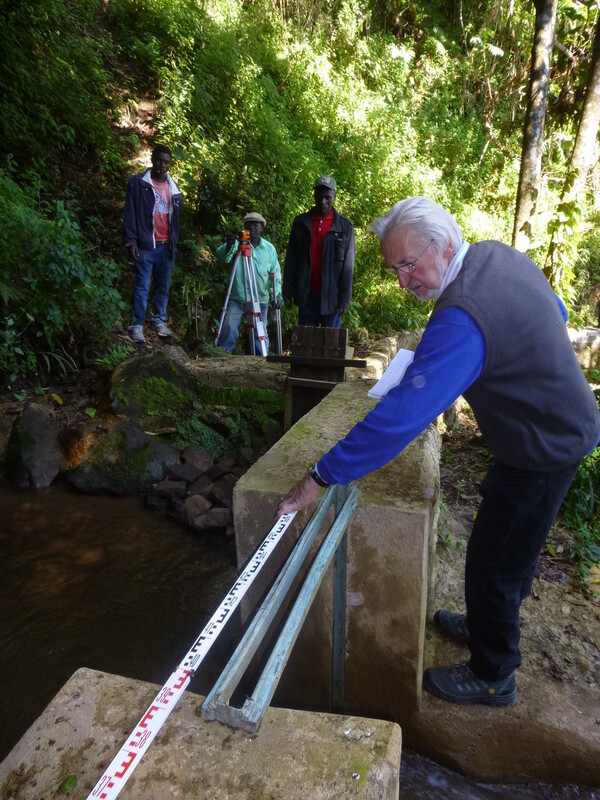 Our first visit was to John Fute's workshop and small hydropower plant, himself not being present due to an eye-surgery that in the meantime has been successfully finished. The workshop has left a positive impression, the yard being roofed between the corner containers by now and the premises being fenced in. At present the main activities, among others, are the production of flanged steel pressure pipelines for various small hydropower plants. Moreover, the production of hydro-rams of various sizes turns out to be very profitable. The welding craftsmanship unfortunately still leaves much room for improvement (The recommandation for a welding-course is still relevant). The cornmill is very popular among the clients because it works cheaper than in Njombe. The 2011 recommendations for the improvement of the small hydropower plant have not been implemented yet. 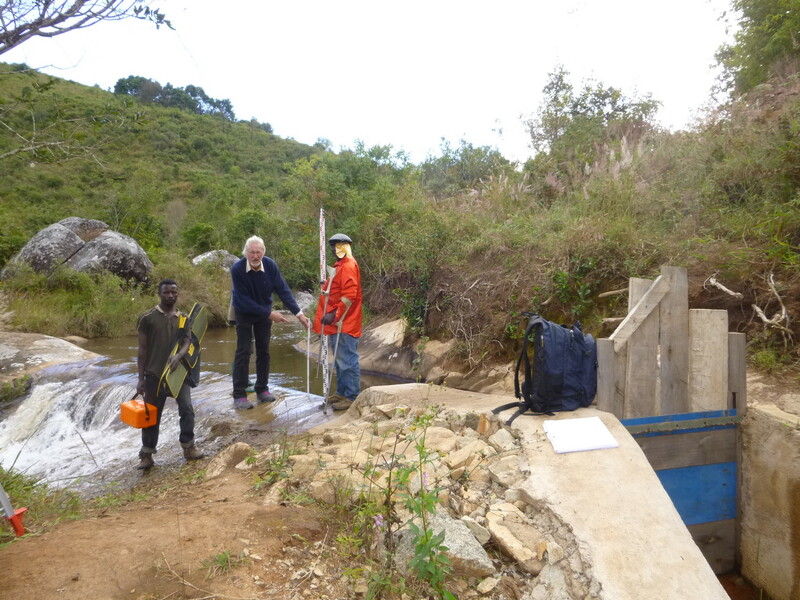 Detailed surveying-work using the new surveyor's optical level, especially around the weir site, resulted in new technical proposals for the improvement of an adapted water drain during dry season. 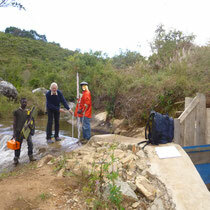 John Fute is busy building small hydropower plants in six villages which we have visited all, some repeatedly. His dedication is very impressive having participated all on-site inspections in spite of his invalidity. He was also very interested in the survey-training. We have visited the projects in the villages Wangama, Ludilu, and Ingomenyi. Den größten Fortschritt gibt es in Igomenyi, besonders wie gut die Dorfgemeinschaft bereits organisiert ist mit einem Management-Team für das Projekt, eigenem Büro, und guter Dokumentation des Baufortschritts. Einlaßbauwerke (Wehr, Hangkanal und Kraftwerkhaus) sind im Rohbau fertig, die Druckrohrleitung (Fabrik. John Fute) ist vor Ort und muss noch installiert werden; hier wurden detaillierte Empfehlungen gegeben. Ein Survey für die Überlandleitung zum Dorf wurde bereits bei der REA in DAR beantragt. Die Stromleitung im Dorf ist schon durchgeplant (Leitungslänge und Anzahl der Kunden). Hier ist jetzt die fehlende Ausrüstung Turbine/Generator sowie die Schalteinrichtung zu beschaffen und dann der Einbau von einem Fachmann zu begleiten (Bruder Max).